As orthodontics is concerned with the correct alignment of the teeth, so orthognathic surgery encompasses those procedures that are used to place the jaws in their correct position. Usually the two specialities are carried out in close co-operation and often simultaneously. Close cooperation will therefore take place between your orthodontist, dental surgeon and oral maxillofacial surgeon. 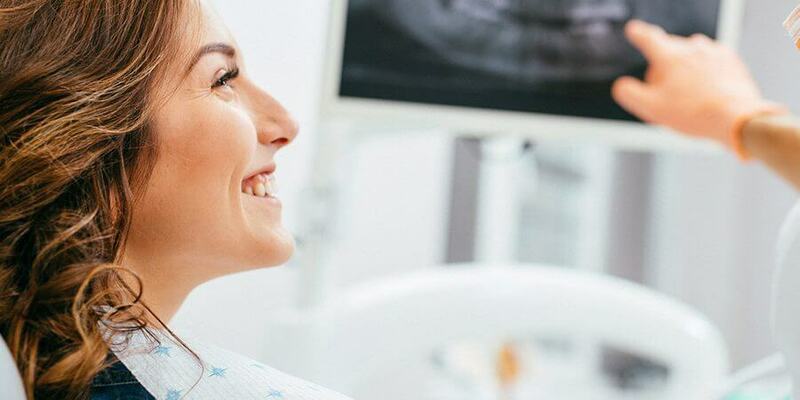 Orthognathic surgery is a well established and recognised field of oral and maxillofacial surgery with many of the procedures being developed as early as the 1920’s. Great advances have taken place since the 1960’s with perhaps the most important being the introduction of rigid internal fixation methods (small metal bone plates) which have made the practice of wiring the jaws together in the immediate post-surgical recovery period less common. During your consultations with your surgeon it is important that you ask as many questions as you feel are necessary to increase your understanding of this procedure. Parents and spouse are also encouraged to attend consultations. During the consultations, your surgeon will discuss the diagnosis of your particular case, using your dental records, x-rays and other visual aids as are necessary. The purpose of the pre-operative consultations is to provide you with as much specific information as possible to enable you to understand the procedures and to allow you to make an informed decision about your treatment. Many malocclusions (the improper alignment of upper and lower teeth) are corrected by wearing braces alone. In some situations, however, the upper and lower jaws are of a different size or shape, or are in an incorrect relationship to one another, and in this circumstance orthodontic treatment alone may not be able to align the upper and lower teeth. In this situation your orthodontist may suggest that orthognathic surgery will be necessary to align the jaws and hence the teeth so that the orthodontic result is not compromised and so that the optimum result is achieved as far as long-term stability, appearance and function are concerned. Following a detailed study of your particular case using dental models, x-rays, computer tracings and predictions, your orthodontist and oral maxillofacial surgeon will be able to recommend the best programme of combined treatment. The timing of the various stages is usually controlled by your orthodontist but it may be quite possible to organise the surgical treatment around school, work, family and social life. Treatment Planning– begins with an initial consultation with your orthodontist. If surgery is recommended your oral maxillofacial surgeon and orthodontist will work closely together to plan the program of treatment, using dental plaster models, x-rays, photographs, computer tracings and predictions. No treatment will be instituted until you are fully informed and have consented to the proposed program. Pre-Surgical Orthodontic Treatment – before surgery can be undertaken it will be necessary to align the teeth in each jaw. Due to the malalignment of the jaws, the occlusion (the way in which the teeth meet) at this stage will not be correct. The purpose of pre-surgical orthodontics is to allow the plaster dental models to be examined so that correct alignment of the teeth is assured at the time of surgery. Surgical Treatment – prior to having your braces placed, or even during the pre-surgical phase of orthodontic treatment, it may be necessary to have several teeth extracted as they would interfere with the main orthognathic procedure. The most important teeth to be removed are the wisdom teeth, and your oral maxillofacial surgeon will usually carry out this operation. It is advisable to have them removed at least three months prior to the orthognathic surgery to allow adequate bone healing to take place.Once your teeth have been sufficiently straightened, you will have another consultation with your oral maxillofacial surgeon so that details of the operation, your stay in hospital and the recovery period are fully understood.Orthognathic surgery is performed in a hospital operating theatre under a general anaesthetic. Usually, you will be admitted to the hospital on the day before surgery and be discharged home on the morning of the third or fourth post-operative day. The anaesthetist will examine you in hospital and explain what is involved in a general anaesthetic. All modern orthognathic procedures are carried out through the mouth using high speed air-driven bone cutting saws and titanium mini bone plates and screws. Upper jaw surgery is completed entirely within the mouth as is lower jaw surgery but with a small (3mm) incision made on the side of the cheek. These “stab” incisions are used to insert the bone screws and will heal to an “invisible” scar within a few weeks. When lower jaw surgery is carried out, a thin plastic drain tube may be led out through the cheek on each side to reduce the amount of facial swelling – the drain tubes are usually removed on the second day after surgery. Immediately at the completion of the operation and before you leave the operating theatre, elastic bands or wires will be placed between the upper and lower teeth to support the jaws in their new position. Generally these elastic bands or wires remain in place for several weeks after the operation.Your oral maxillofacial surgeon will see you every week for several weeks after surgery to assess your post-operative progress and you will see the orthodontist about one month after surgery to begin the post-surgical phase of orthodontic treatment. Post-Surgical Orthodontic Treatment – after healing has taken place and the new position of your jaw is stable, further orthodontic treatment will be carried out to enable the final position of the teeth to be obtained. Your orthodontist will tell you how long this stage will take. As this type of surgery is considered quite major it is not without a number of known and predictable temporary side effects. Pain – it is not uncommon for patients to experience more pain after the removal of wisdom teeth than after orthognathic surgery. Appropriate analgesics are given to you in hospital and to take home. Facial swelling– swelling on the face commences immediately after surgery and reaches a peak at about 48 hours. It does not begin to decrease significantly for about one week after the operation. Bruising – it is quite normal for some patients to have some bruising on the sides of the face, under the eyes and in the upper neck, and usually this occurs about one week after the operation. It may take another week to disappear. Jaw stiffness – because of the amount of swelling that occurs it is normal for the jaws to be somewhat stiff for about ten days after the operation. Dietary modification – it takes bone some time to regain enough strength after orthognathic surgery to allow a return to normal diet. During the first two weeks after the operation it is essential that all food is pureed. During the following two weeks only soft foods may be eaten. From the fourth week a gradual return to a normal diet may take place over the next two weeks. This is perhaps the most important aspect of post-operative recovery, advice will be given to you by a dietician prior to your discharge from hospital. Following the consultation with your surgeon, you will be given a summary of the procedure. The information provided is intended more to inform you, rather than to alarm you. The complications associated with the various drugs and medicines are too numerous to discuss in this page and perhaps you might discuss this with your anaesthetist who will meet with you, in hospital, before your operation. Haemorrhage (bleeding)– this may occur during or after the operation. Reactionary haemorrhage occurs in the first 24 hours after surgery, and secondary haemorrhage occurs 5 to 7 days after the operation and is usually the result of infection. If bleeding is excessive during an operation a transfusion may be required. If you or your family (i.e. immediate blood relatives) have any concern that there may be a bleeding disorder in the family, advise your oral maxillofacial surgeon of this concern in order that appropriate blood tests can be arranged promptly with a large and experienced pathology laboratory. If there is an abnormality, you will be referred to a haematologist for further assessment. If you have had unexplained bleeding associated with any operation, please share the details with your oral maxillofacial surgeon. Haematoma (a blood collection in the tissues) formation occurs in approximately 1-2% of operations on the jaw, and it is for this reason that surgical drains may be used. Wound infection – whilst this is quite uncommon in upper or lower jaw osteotomies, it is recognised. It is essential that you maintain scrupulous oral hygiene both before and after the operation. A prophylactic (scale and clean) is recommended by your dentist before your operation. Wound infection may be minor, small abscess or redness of the skin, or it may be serious or life-threatening. Your consultant anaesthetist will commence intravenous antibiotic therapy after the induction of the general anaesthetic and will be continued during your stay in hospital. After discharge you will also take oral antibiotics. Lung complications – if you are an asthmatic or smoker there is increased risk of lung complications, your oral maxillofacial surgeon will encourage you to stop smoking. This may be difficult and require you to discuss with your family doctor the use of a nicotine patch and/or Nicorette chewing gum. Physiotherapy may be required to encourage lung function in the immediate postoperative period. Thromboembolic phenomena – deep venous thrombosis (DVT) may occur in the veins of the legs and pelvis during surgery. Venous return of the blood from the legs to the heart is encouraged by electrical calf stimulation during the operation. Please be reassured the hospital has the necessary apparatus to deal with this. You may also wear TED (thromboembolic deterrent) stockings for approximately 5 days, and the nursing staff will encourage your early ambulation. Women taking the contraceptive pill should understand that there is an increased risk of venous thrombosis. In head and neck surgery pulmonary embolus (clot in the lungs) is relatively uncommon. Patients with previous history of venous thrombosis must inform your surgeon and your anaesthetist prior to surgery to ensure an appropriate drug is given to thin the blood. There are a number of drugs available, and your surgeon/anaesthetist will make this decision on your behalf. Please do not start taking one of these agents without advising your surgeon or anaesthetist. Failure to do so may result in your operation having to be rescheduled. Urinary tract – whereas post operative retention of urine tends to be more common in the older male patient, it does occur in young men and women, and if necessary a urinary catheter will be placed using a suitable anaesthetic jelly which permits the procedure without undue discomfort. Urinary tract infections may occur, and if you have a history of these infections, please tell your doctor. If the operation planned becomes prolonged (4-5 hours), you may be catheterised while you are under anaesthetic. Anaesthetic complications– these should be discussed with the anaesthetist, who will be pleased to discuss what is involved. You must be absolutely frank with your doctor about all and any problems relating to your health. Blood products – our surgical practice may arrange for autologous (i.e. your own) blood to be available for elective operations, and the details will be discussed if necessary. If you have any reason to believe that you might be in a high risk group for hepatitis B or C, or the human immunodeficiency virus, HIV-AIDS, please discuss it in confidence with the surgeon. You will not be discriminated against, but we do need to know in order that additional safeguards may be set in place for your safety and wellbeing and that of your health care workers. Bedsores– pressure sores result from compression of the skin covering over a prominent bony part of the body. Whilst such pressure sores are uncommon in younger patients, there is higher incidence amongst the elderly, who are particularly susceptible. Pressure sores generally occur more commonly on the lower half of the body, over the tail bone, hip and heel. Please be reassured the nursing staff at the hospital have great experience in pressure sore prevention. the incisions and result scars – jaw osteotomies are carried out through incisions in the mouth. The incisions are made in the mucosal lining usually at the junction of cheek and lip with the upper or lower jaw. Dissolving stitches are used. If any scarring occurs it is not visible from the outside. For lower jaw surgery there will be a tiny (3mm) “stab” incision in each cheek (at the angle of the jaw). These incisions generally heal to virtually invisible scars within a month or two after the operation, although rarely there may be a small depression or tiny scar remaining. However, if you are a person who has in the past, formed poor, hypertrophic or keloidal scars, it does not necessarily mean that you will form a prominent scar in association with this operation. Great care is taken during the operation with gentle tissue handling. If a bone graft has been used from the hip, the scar will remain a little conspicuous for 6 to 8 months and it will never disappear entirely. nerve injuries– there are many nerves crisscrossing the face and neck, and two of these are of particular importance in jaw osteotomies. trigeminal nerve – this nerve is divided into three parts, and the lower two parts are at risk during the operations of upper and lower jaw. The nerve is dissected out over a distance of approximately 4cm. As a consequence, both these nerves on the right and left sides of the lower jaw are equally at risk. Even handling the nerve gently is sufficient to give rise to anaesthesia or numbness of the right and/or the left sides of the lower lip and chin. This condition is called a sensory neuropathy, and may take the form of numbness, pins and needles, burning, or even itching or the sensation of ants crawling across the skin. It is expected that all patients who have lower jaw osteotomies will have numbness in the lower lip and chin in the immediate post operative period. In most cases this numbness is temporary and usually wears off over a period of time several weeks to several months-sometimes up to 12 months. Very occasionally, however, the sensory neuropathy is permanent. The infra orbital nerves exit the upper jaw just below the lower rim of the eye socket and are also dissected out during operations on the upper jaw. Numbness is usual after an operation on the upper jaw in an area beneath the eye and extending down onto the upper lip and gums above the upper anterior teeth. This numbness is virtually always temporary (as above) and has a very low risk of being permanent. It is not uncommon for a patient who has undergone a maxillary osteotomy to complain that the gum immediately above the teeth between the gum line and the scar feels a little numb for months following the operation, and occasionally this is permanent. The patient may also complain that the teeth in the upper jaw “feel different” following the surgery. the lingual nerve –is responsible for sensation to the front two-thirds of the tongue, and the special sense of taste. Again, both the right and the left sides are at small risk during the operation of lower jaw osteotomy. The lingual sensory neuropathy is not common in mandibular osteotomy but it is a recognised complication and particularly as a result of nerve stretching or bruising of the nerve by retraction or screw positioning. Occasionally a bone graft is required and this will always be discussed in the preoperative consultation with your surgeon. The common sites used as the donor area are the hip and rib. If the hip graft is to be used, a separate explanation will be provided, depending on whether it is a vascularised or free graft. It if is a rib graft that is to be used, it will be harvested in the region of the 5th, 6th or 7th rib, and via a submammary incision. In a woman the incision will be carefully placed at the lower pole of the breast disc in the inframammary fold. A firm brassiere should be used in the month following surgery to provide pressure on the scar. Whilst perforation of the pleura (i.e. the lining membrane of the lung) is not common, it may occur, and require a chest drain in the post operative period. The use of a small catheter placed at the time of surgery allows the wound to be irrigated with a tiny dose of a long-acting local anaesthetic solution (Marcain), and this permits the patient to cough and move about the bed without undue discomfort or pain. Relapse – with the advent of rigid fixation using bone plates and screws this is not the problem that it was 15-20 years ago. Relapse may be due to a number of factors, and this will be discussed at the clinic. Generally speaking, the larger the jaw movements, the greater is the chance and degree of relapse. It is expected that there may be up to a 10% relapse after jaw osteotomies but this is usually accommodated for in the planning of the operation. Relapse may also occur after removal of the orthodontic bands and braces, and this is a matter that should be discussed with your consultant orthodontist. Temporomandibular joint – the patient with an established internal derangement with jaw joint pain, clicking, earache, locking and unlocking may require treatment prior to and after jaw osteotomy. The osteotomy may improve the function of the joint. It may have no effect on the function, or it may make it worse, necessitating further treatment, nonoperative or operative, on the jaw joint. This will be discussed at the consultation rooms. 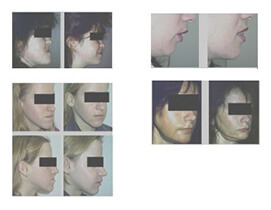 The patient with the asymptomatic jaw joint is in the majority, but occasionally an asymptomatic or silent jaw joint dysfunction may be unmasked as a consequence of the surgery. Rarely, jaw joint dysfunction may be unmasked by other surgery requiring endotracheal intubation. It should be most strongly emphasised that the anaesthetic has not caused the problem, but has unmasked the pre-existing but asymptomatic jaw joint problem. Almost invariably simple conservative measures of treatment involving splint therapy are all that is required. Clearly it is not possible to provide patients with each and every complication associated with the operation, and some are extremely rare. The object of this page is to inform you of the important and material complications about which you or your family may wish to ask further questions, or which may decide you to postpone the operation to permit further discussion, or even to seek a second opinion. Please do not leave your questions until the night before the operation, as this may necessitate rescheduling of the operation. If you have a concern, contact our consulting rooms and advise our staff that you wish to discuss it once again with your oral maxillofacial surgeon. Finally, please remember to bring all the x-ray films, CAT, MRI or nuclear scans, to the hospital when you are admitted. If you do not understand any aspect of this form, please feel free to discuss it well prior to the operation. Oral hygiene– it is absolutely essential that the mouth is kept scrupulously clean after orthognathic surgery. The use of mouthwashes after every meal is strongly recommended. Psychological considerations– It is not unusual for patients to become a little depressed after orthognathic surgery because of the early slow progress and the fact that it is difficult to see any results in the early stages due to facial swelling. This feeling will pass as you recover from surgery and the improvements in appearance and function become more apparent. Cost – it is important to discuss the expenses that will be incurred during treatment. Many of the costs will be partly covered by Medicare and your private medical fund but there will still be a gap.